ELIUD KIPCHOGE, THE world’s best marathon runner, runs in Nike shoes. But do his shoes help him run faster? You’ll be shocked—shocked!—to learn that Nike claims they do. Kipchoge wears a special version of the Vaporfly 4%, which got its name from a study out of CU Boulder. 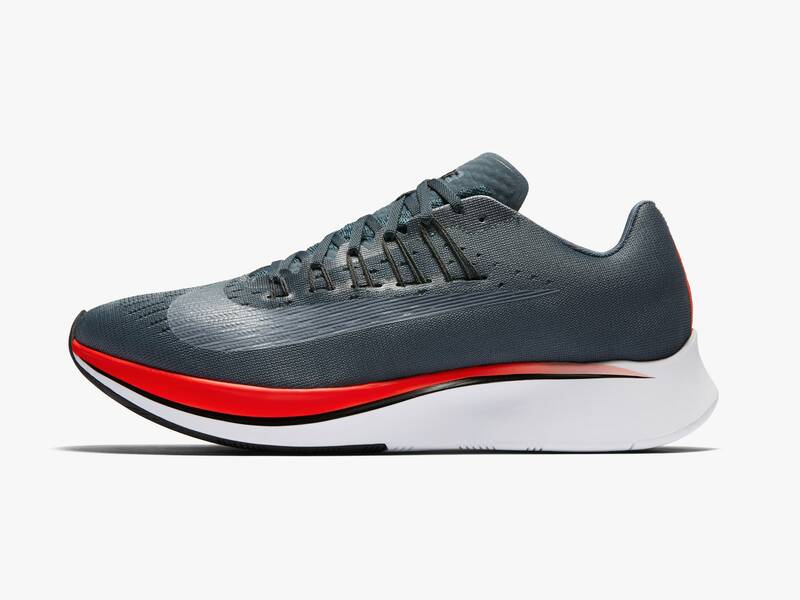 Funded by Nike, and conducted in collaboration with Nike researchers, it found test subjects shod in a Vaporfly prototype ran an average of 4 percent more efficiently than they did in the Zoom Streak 6, Nike’s previous best racing shoe. If you’ve followed the story of Nike’s shoe as closely as WIRED has, there’s a good chance you’ve heard about this study. What you probably haven’t heard are the details behind it—how it was conducted, and what, exactly, the researchers who led it observed. This week, those details were finally published in the peer-reviewed research journal Sports Medicine. So does the investigation pass muster? To find out, we visited the CU Boulder lab where the research was performed and compared notes with experts from the University of Calgary’s Human Performance Lab. The upshot: It’s a well-designed study with one minor flaw. Now. Let’s run this thing through its paces, shall we? Exactly how much energy varied considerably between runners. All 18 of the study’s test subjects were fast—to recruit them, Kram and his colleagues posted fliers looking for runners who could go 6.2 miles in under 31 minutes. But some saw more benefit than others. The study’s rearfoot strikers saw slightly greater benefit than midfoot or forefoot strikers—but not much. The Vaporflys improved one test subject’s running economy over the old Nike by just 1.59 percent, but they improved another’s by 6.26 percent (with a similar range over the Adidas). The average across all test subjects: just over 4 percent. And while 18 might not seem like a lot of test subjects, for a biomechanics study it’s higher than average. Kram went through the wringer to recruit even that many. When shoemakers design prototypes, they almost always manufacture them in a size 10. “So for us it was like Cinderella,” Kram says. “We had to get 18 runners who all wore size 10 shoes”—and could run a 10k in under 31 minutes. “Boulder is one of the few places you could even do this study,” Kram says. The researchers attribute the shoe’s effectiveness not to its weight, but its unique materials. (At 199 grams, the size 10 Vaporfly prototype that the researchers tested weighed four grams less than the Streak 6 and 51 grams less than the Boost 2, but Hoogkamer equalized their weight by sewing lead pellets into the tongues of both Nikes.) The Vaporfly uses a very light, compressible, and—most importantly—springy foam. When the researchers simulated the impact of a runner’s footfall by pressing the shoes into a force-sensing plate, they found that the foam in the Vaporfly returned 87 percent of the energy it stored on impact. The Boost 2 returned 76 percent. The Streak 6? A measly 66 percent. But according to this study, at least, Tucker has it backwards. “In our lab the shoe reduced the energetic cost of running by an average of 4 percent. If you ask me what the breakdown is, I’d say about 3 percent of that is from the foam and about 1 percent from the carbon fiber plate,” Kram says. The bigger question now is: Why haven’t the results from the study translated to actual road races? A 4 percent boost in running economy means that a marathoner usually capable of running a 2:05 race should be able to slip on a pair of Nike’s shoes and run pretty close to a two hour race, no problem. But that’s not what we see in the real world. It’s true, Nike runners have scored some major victories in the shoe—including Shalane Flanagan, who earlier this month became the first American woman to win the New York City Marathon since 1977—but none of the performances have been Earth-shattering. All of which suggests something is lost in translation between the research lab and an actual, 26.2-mile road race. That disparity could be due to any number of things. “Just to give you a sense of how complicated this stuff is, we have unpublished data that shows the energetic cost of running increases after about 90 minutes, and that the increase coincides with how much the Achilles tendon stretches on each footfall,” MacIntosh says. That observation suggests the biomechanical advantage the Vaporfly provides could actually shift—or even become detrimental—as a runner’s physiology changes over the course of a race. But that’s all speculative. For now, the hard numbers indicate that Nike’s fancy, foam-tastic future-shoes really do boost running economy under carefully controlled lab conditions. A technicality? Sure. But it’s one that Nike’s PR team—and a lot of runners looking for a little edge on race day—will be more than happy to live with.